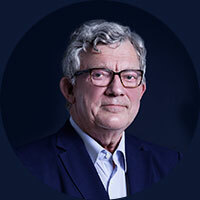 On March 21st, 2019, the treasurer of the Ateliers Support Fund, mr Hans Verkoren (1947-2019) passed away. De Ateliers is very grateful to Hans Verkoren for his relentless commitment to our artists institute. For many years, he was an important pillar of our foundation, first as a board member, treasurer and chair man ad interim, later as a supporter and treasurer of the Ateliers Support Fund. We remember Hans as a skilled and determined board member and as a truly generous, loyal and dear friend.